If you are recording in a modern home studio comprised of a computer, an audio interface, and software, then one of the simplest things you could do to make your tracks sound better is to stop recording so hot into your DAW. That’s right, many of you are recording signals that are way too loud, giving you worse sound and for no real reason. The confusion is rooted in old analog workflows that simply don’t carry over into the digital world. Now, most of what we know of great recording technique comes from the analog world, and it’s really helpful. Nothing about mic placement, arrangement, room acoustics, performance, and effects has really changed in the digital world. Audio is audio and sound is sound, and the great engineers of the last 50 years still know what they are talking about and we would do well to pay attention to how these masters of their craft captured the sounds that they did. Technique is everything, the medium might change, but philosophy of recording doesn’t. With two exceptions. Two things that are very different in digital than in analog are the noise floor and clipping. In the days of recording to tape there was so much noise that the engineers were fighting against. Console noise, tape hiss, you name it. The goal was to record your levels loud enough that your signal to noise ratio was high and you wouldn’t hear much of that noise in the final product. These days with a simple digital home studio we have a super quiet noise floor so this is practically a non issue. Secondly is the clipping situation. Recording as “hot as you could without clipping” was perfectly suitable advice for those recording to through consoles and to tape. Why? The hotter you pushed the console and hit the tape, the more likely you were to get saturation (compression) that sounded pleasing. In fact, it’s been called “warm” by audio people because that is very much how the human ear perceives the subtle effect of analog saturation. Unfortunately for us in the digital world, computer software doesn’t give us “warm” saturation when we clip. In fact, that little clip light in your DAW is the end of the line for your audio. The computer crushes the signal giving you a metallic and horrible sound. All of this discussion brings be to the point at hand: please, whatever you do, don’t record your tracks so hot that they are even close to clipping in your recording software. You gain nothing from tracking that loud since there is no real noise floor to overcome. You can record much more conservatively, say 50% or 70% up the meter and still have a very useable and musical signal. Plus the closer you get to hitting that 0dBfs clip light on your meter the closer you get to nastiness. Why play with fire? It’s just too dangerous, and a sad waste of potentially a great sounding track. Especially if you plan on adding plugins to these tracks in the mix. You’re way past the digital sweet spot at that point. So here’s the simple suggestion, when recording simply aim to get your signal hitting half way up the meter, maybe a bit more when it peaks, and leave it there. Remember that the signal is actually controlled by the gain knob on your preamp or audio interface, not the fader in your DAW. That fader controls the mix of the signal AFTER it’s been converted to digital. Not how hot the signal is hitting your converters. So the place to actually control the level is on your physical preamp or interface. Turn that sucker down. Then if you can’t hear enough of the signal you can turn the fader in your DAW up or turn your speakers up. You can monitor the signal hotter, just as long as you are actually recording at a conservative level. Your tracks will sound musical and full, without the fear of hitting that nasty digital clipping that ruins so many tracks these days. Graham, once again, your article is spot on. There’s no reason to record close to 0db anymore. However, something should be said to people recording TOO quiet as well. Sure, noise floor level is practically a non issue these days. But still I’ve received tracks recorded way too low. Not that I remember exactly how quiet, but it was close to -20db or something like that. Bumping that up to useable levels is not something I like to do. That being said, your advice of aiming for the 50% mark on your meter is a reasonable starting point. Shouldn’t -20db be pretty perfect? I have indeed tracked things too quietly as well, but that was quite a bit lower than -20 I think. Yeah, sorry. I didn’t have any meters in front of me either when I said that. I was talking about a signal that doesn’t even reach 1/5th of the height. So that would rather be -50db to -45db :-). Thanks for pointing that out! In any case my point remains: some tracks come in tracked just too low. But seems like you agree, so great! Hmm, So can I agree and disagree with this article? I’m no newbie here so maybe I can give a couple of my opinions. First off I do agree that you need headroom when you are gain staging your input levels. Plugins and post production can definitely add to the level of your recorded track. So you do want to leave enough headroom and not risk getting too close to 0 db. That being said, I’m not sure I agree with the 50% (about -25 db in my DAW), that seems a little too low to me. But 70% (-15 in my DAW) may be ok. I personally record to where my peaks are hitting about -10 db. That is still conservative and leaves plenty of headroom in my opinion. As far as noise floor goes, your mic/input and pre-amp is an ANALOG signal. It gets converted to digital in your interface. So since there is an analog signal you are recording with, there is still definitely a noise floor (hiss, electrical hum, etc…). Just try listening through your monitors or headphones and turn the master volume knob all the way up and I guarantee you will hear it. Now with new and modern technology the noise floor is not nearly as big of an issue that it was in the ‘ol days, but it is still present. So if you would ask “Why risk it with clipping?” I would also ask “Why risk having any noise floor hum or hiss in your recording?” I have been recording and mixing for a while now, and I have never had a problem with setting levels to peak around -10 db. And trust me, I have loaded up plenty of post production plugins and gain staging to a track after recording it. That hiss you’re hearing is probably from your headphone amp. They do that when you crank them. The sound is “thinner”. There is noticeable ambient noise when you record that low. Hey, I have question because I’m fairly new to recording and I’m just trying to figure how to record the best possible sound. I checked the VU meters on my Akai EIE Pro audio interface and the very end of the meter shows -20 (it doesn’t go lower than that) so I’m a little confused about that being 50%. Is it just because my audio interface doesn’t record that low? Where should I be recording my acoustic guitar rhythm tracks? I’ve been turning my input gains on my Apogee Duet up to 48-50 db to record acoustic guitar tracks with my AT4050 mics. I’ve never clipped when recording like this but now I’m wondering if I’m recording too hot and it’s making the bass seem a bit out of proportion and hard to get a good eq on. Any advice on what my input gain should be for acoustic guitars? 50 – 70% of the meter?? Just watch your meter in your DAW and adjust your Duet gain pots accordingly. I agree i used to run everything in Ableton as in the green as i could get it and the same in the mixer and always wondered why my songs were so darn loud! I have been guilty of this more than once. I know I shouldn’t do it, but in the heat of the moment (no pun intended) I still fall into the trap! I don’t go over 0db, but I’m still much closer to it than the 50% or 70% you suggest. I’m going to make a list of does and don’ts, in workflow order, then stick it on my desk in attempt to break the bad habits that I fall into. This, and a lot of other advice you have given on the site, are sure to be on that list. Kevin, is using clip gain on a final mix to boost it to that 50-70% an acceptable fix for a mix that’s too quiet? Chris, I’m afraid I’m not entirely sure what you’re asking. But if you’re talking about boosting an overall mix that’s too quiet, I’d say you’ll get better results with compression and limiting (or just sending your mix over to a mastering engineer ;-)). In the end, if you have a track that’s been recorded TOO quiet (and as Graham mentioned in the article, that’s pretty difficult to do these days — but it still happens) then you’ll always have issues with noise that you’ll bring up as well. That’s why you should aim for an input signal that’s neither too hot or too quiet. Thus the 50-70% mark Graham talks about. I always hit that threshold and rely on the mastering engineer to get my levels for me. I’m asking because I’ve been mixing other artists and wondered if using clip gain (or a trim plugin) to slightly boost a mix if it were too quiet would be acceptable. I always give clients two versions anyway; the actual mix and the “loud” mix with compression and limiting. I just wasn’t sure if boosting a few DB with clip gain to the 50-70% range (based on meters) was acceptable. I end up using the clip gain in pro tools to boost tracks that I have recorded with direct inputs (i.e. synth, etc.) that I have run through the channels of my Focusrite interface that don’t have a built in pre-amp and, thus, its hard to get the levels up to 50%. On these tracks there isn’t a noise floor since they are direct inputs and I have never had issues with boosting them using the clip gain feature. In fact I like using clip gain in general for cutting or boosting different portions of a track and then consolidating the different levels to a new track, which is a lot easier than using volume automation. Well that certainly makes sense! I have to admit I’ve been running the signal as hot as possible – until now. Thanks Graham! -12 to -6…my self imposed ceiling going in. The occasional -3 for snare. snare? Hardly. Try trumpets in Mahler, or any cymbal or gong rolls! FFT shows all kinds of clipping possibilites, yet you might end up placing blame on the tympanist or snare. Which would be wrong. Clipping never comes from those, only gains too high can allow clipping to appear. Would it be the reason why Grohl records extremely close to the mic as it’s shown at 11:40 in this video? After all, they went for analog recording..
That was probably to reduce room noise since he was out in the open of the control room. Could have also been to increase bass with the proximity effect. yawn yawn, old news, nobody cares etc etc. a lot of DAWs will never let a channel actually clip, except for the master. You are the one who doesn’t care, apparently, since you didn’t even read the post properly. It’s not about clipping during mixing, it’s about clipping during recording. Recording is, you know (? ), where A/D conversion happens, and at that stage, unlike in the comfy, floating point world of DAWs, you can totally clip the signal. Wow thats a bit rude and disrespectful Bar345. Especially for a completely valid and well written article. You are flat wrong that “a lot of DAWs will never let a channel actually clip, except for the master.” You can set your session to 32 bit all day long but your converters are still 24 bit my friend. Even at 32 bit some plugins don’t support 32 bit and will clip without you realizing it. The point of the article though was recording conservatively. That is, not hitting your converters with too hot a signal. Pull that chip off your shoulder and be willing to learn. Thanks again Graham for some great info that *obviously people still don’t quite understand. Maybe YOU don’t care. In that case, why are you here anyway? And for the record, DAWs just do what they’re “told” to do. If you record hot or not, your DAW doesn’t care at all. It’s not his job to prevent clipping, it’s yours. You just made a lot of things make sense. Thanks. I come from an analog background, I’m just getting into digital and a lot of things, like this, just don’t transfer. Great stuff again Graham. It seems such a basic foundation of digital recording, that “Analogue” 0 never equated to “digital”, rather anywhere from -20 to -15 dbfs, yet there seems to be shockingly little reference to this important fact in much of the educational or product info I have ever read. I didn’t clue into this for the longest time, as obvious as it seems. I think the first page of any digital recording product manual or educational/reference material etc should point this out. One of the reasons the manuals don’t cover it properly is it takes time to explain and educate the user about 0 VU = -18 dBFS RMS …it’s just easier to stick with the “peak just below 0 dBFS” advice. Oh I don’t know about that. I think it would be as simple as saying. “-18dbfs is the equivalent of 0VU analogue, when recording 24 bit no need to go anywhere near 0dbfs, nothing to be gained”? but I digress. I just meant to say that it seems extremely underplayed as a whole, in product manuals, online forums such as (but not including!!) Grahams, etc. You would think it would be one of the first things you learn, the prime directive so to speak. Historically it has seemed to me to be the result of two different recording constituencies in the days before the interwebs. The pros had no problem with the 0VU thing and it was probably too obvious to them to mention because with 2 inch high-speed tape there was adequate headroom so they were comfortable recording at moderate levels. The amateurs on the other hand with narrow-track low-speed tape (especially cassette multitrack) had to find that fine line between excessive tape compression and excessive noise. Early 16-bit digital was no better because the converters were really 12 bits of sound and 4 bits of noise and distortion so it was really the same fine line. It’s the latter that brought the “record as hot as you can without clipping”. But when 24-bit converters came in, even recording in 16-bit was a full 16 bits so recording hot became largely unnecessary except for solo acoustic work. I only went digital when the 24-bit converters came on the scene but it was a real battle to get people to understand that recording hot was no longer the way to go. One of the issues is that people who worked with serious analogue were used to working with average signal levels and mostly letting headroom look after itself. Loudness is relative to average signal levels so this is a more intuitive way to work. Recording hot means thinking of everything in terms of peaks which is not relative to loudness and the people used to working that way have to make an adjustment in their approach, not just their metering. Makes sense Mike, when you put it in context like that. Yeah I had one of those first (I guess THE first cassette format) “narrow track low speed” devices you mention, ye good old TEAC 144 Portastudio way back in the mid 80’s. You had to keep your needles high but not pinned to find that little window of decent signal level without ripping paper. Then after many years hiatus from mangling ….er recording analogue, I figured I’d see what all this digital hoopla was about, and applied the same philosophy for a long time until I clued in to the fundamental differences and cut back my recording levels. This is what everybody still misses. All the mixes I get are still too hot. It is also confusing because the meters in PT 10 and 11 show completely different levels because Avid is trying to fix this issue inside PT. LOL! I have to continually remind myself of this. Many years of analog recording have left me feeling that kissing red looks “right,” and I must override that feeling to get good digital levels. I use Ableton live 9. I try to keep the loudest thing in the track (Kick) at -8 and everything falls under that. I do mostly EDM. I try not to touch faders until mixing and adjust the tracks gain to match the recording to keep everything under control. When everything is done I group and mix and if I have to I will select all tracks and pull them down slightly. Not sure if this is the right method but this is what I do. I used to record on tape, now that everything has gone digital I have had to reteach myself everything. If someone has a better method for Ableton users let me know. The real issue here is Dynamic Range and not so much how hot one records a track. 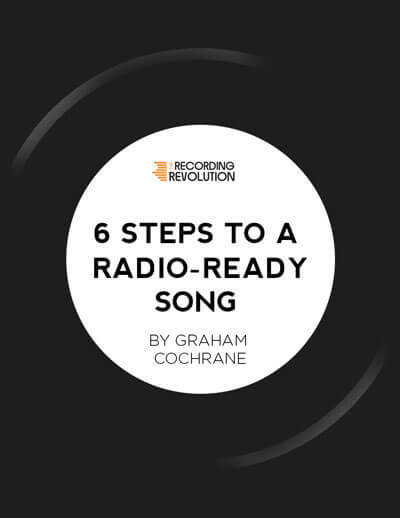 Unfortunately, in this post Graham does a bigger disservice by not including that aspect in this discussion than the benefit of extolling caution about recording too hot or too quiet. Look back over the last 25+ years and you will see that almost all so-called “hit music” has gone through a change and not for the better as it has been crushed into a dynamic range of less than 3 when back in the day it use to be as much as 14 or 15 db. Go listen to Pink Floyd – Dark Side of the Moon, Steely Dan – The Royal Scam and and others… then go to the mid nineties and then to the mid 2000’s and to this years’ winner of Album of the Year Daft Punk (you don’t have to like these different types of music to appreciate the accomplishments of their respective engineering) and you will find that DR has gone from 14 to 10 to 5 to less than 3. Dynamic Range is where you get your true “loudness” and for any musician or engineer who deals with real instruments (strings, guitar, piano, drums etc…) will discover that you can record hot, you can record low but the music really starts to sound louder (and from a mix standpoint almost beyond any control) and this increase is due to the reduction of the dynamic range. I personally recommend either a TT Dynamic Range Meter (courtesy of Ian Shepherd) or something similar from Voxengo Gliss or similar plugin to measure more than just the peak levels. Personally I strive for a range of -14 to -8 before the extensive use of compression in the mix bus. Another massively helpful but under appreciated combination of tricks (courtesy of Joe Gilder) is to mix at low speaker volume and spend the majority of the time mixing in mono… if it sounds great at those settings it will explode with life when you go back to stereo and crank it up. Now in terms of relative loudness (my daw verses yours verses some other brand or version of brand) I discovered that if you take what I call the “default listening level” of your system… (i.e. level of volume that you use to watch a video or listen to audio in recreation) and listen your mixes or exports in comparison to that level gives you a better reference in terms of a mix being “hot enough” or not. Using this method, it makes absolutely no difference if you are using Cubase, Nuendo, Ableton, Avid, or even Garage Band…. Hi Thomas, your topic is obviously very relevant, especially in context of modern “compress the [email protected] out of everything” recordings, but I think its a different although related topic. I don’t think Graham was doing a disservice at all since dynamic range was not the point of his article. Matter of fact I think by only focusing on this one concept he reinforces his point. It seems to be a simple yet widely unobserved practice by the amateur home recordist and is step one for many in the road to improvement. Hi! Tks for your article! But don’t forget that one just can achieve 100% of resolution at 0db. Each -6db, means 1 bit less of resolution. The idea that “more bits equal more resolution so higher bit rate equals better sound” is incorrect.” When they say more resolution for bit depth they don’t mean resolution as in digital video or a computer monitor. All an extra bit will get you is a extra 6db of signal to noise resolution. That’s it, nothing more. This misunderstanding started in the very early days of digital. (Mid seventies, yes there was digital back then. First digital recorder 1975) i.e. 8 bit recordings had a signal to noise ratio of 48 db. Lots of noise. The higher the bit rate would mean less noise so you could hear more sound and less noise. So now you can say 14bit you have an increase in “resolution” because you hear more detail. Now some will say, “8bit recordings for early video games weren’t just noisy, they sounded horrible.” No argument there….But not because it was 8bit. Those 8bit video games sounded so bad because of: inferior D/A converters, nasty coarse filters, and just bad electronics. The companies didn’t feel they needed good sound for: Beeps, blobs, mono lo-fi explosions, and other assorted video game sound of that era. I’ll prove it to you. I believe there is a plug in called “Bit Crusher” that reduces your track to whatever bit level you want. Take your final 24 master and reduce it to 8 bits. You won’t get classic 8bit video game sound from the early 80’s..All you will hear is a very hissy version of your master. But a high quality hissy version. Sound advice. Although, as seen in a few comments, your reference to “50% to 70% up the meter” is assuming we’re all using your interface. Deal with dB. Also, you don’t have to vilify digital clipping, it’s pretty nifty for certain scenarios. I’ve gone back and forth over the years on whether or not to normalize recorded audio files before they even get to my DAW. Usually my practice has been to normalize and prepare any audio files on tracks that are very important to me, but if I’m doing a quick demo I wouldn’t bother and use either the faders or clip gain in a DAW. I’m wondering what your experiences have been with the advantages/disadvantages of “preparing” audio recorded at a low input gain as the article helpfully suggests? Obviously spending more time on a mix is the first disadvantage but are there any workflow or technical reasons not to do this? Tangentially, would the same principles of setting a lower input gain be valid in a live sound situation? Currently I’m working on a live rock band setup that uses Ableton as the focus and mixer of the band. My issue here is that I usually use the DSP mixer on my laptop screen to get a quick visual reference of the mix levels, so having low input levels could potentially make using a visual reference a bit more difficult to read. My problem is that my preamps are so hot that even when I turn the gain knob all the way down, I can’t go below -10dB or -8db, depending on the microphone I’m using. My drummer even made the signal clip on a hard snare hit last week. Is there any solution to avoid this? PS: I’m using a Saffire Pro 24. If your mic is so hot that you cannot go below -10 or -8db then I suggest you either get a different mic, or set the mic further away from the source you are recording. I would also test putting a limiter as the first insert on that channel and roll it back to -10db because unless your mic is powered or you are recording jet engines you should be able to get a lower level. Engage the mic “pad” if it has one. If not I believe you can use an inline “attenuator” between the mic and the preamp. Are you sure you’re not engaging TWO pre’s instead of just your external pre? Meaning, you turn down your external pre’s gain, but the pre inside your Saffire Pro 24 box may be giving you some gain as well. I don’t know if there is a way to bypass the pre’s on that unit, on my MBox Pro 3, I route through an input in the rear of the interface, going in line level, bypassing the pre’s and using the external mic pre’s gain and drive control’s to set my level. Hope this helps. This article is a sigh of relief for me. I’ve always used this approach and it’s nice to have affirmation. Taking it a step further, if I can’t hear the track I’m recording well enough at that level, I don’t turn it up, I turn the rest of the mix down. I try to never have any of my faders above 0 so I have plenty of headroom for mastering. George Massenburg has an interesting approach to recording vocals, where he takes a duplicate split of the vocalists’ channel, but sets the pre-amp to feed the signal in 10dB lower than his main recording track. That way if there are any overs, the gain structure on the back-up channel is not going to be too poor, and he can turn it up to the desired gain with confidence that the signal to noise ratio won’t be a problem. But really, digital recordings, you should always be in the green so you don’t overload your A-D converters – which is why recording too hot can make music sound just awful. Great article. Does anyone have any comments about outboard equipment regarding this? Specifically, recording vocals on a tune that is very dynamic. Getting a good signal during the softer sections of the piece and trying to tame the louder ones seems tough for a noob like me using an inexpensive 8 channel interface. DAW plug-ins work ok during mix, but obviously that is for signal already recorded. I guess my question is: Would implementing an outboard preamp and compressor be the way to go for situations like this–dynamic vocals?? Or is it better to just deal with the signal digitally in the DAW? Invaluable piece of advice, specially for beginner hobbyists like myself. I am very new to this so I have some very basic questions. a) What I’m doing while trying to implement this piece of advice is I set the channel fader to 0 and then play parts of the piece of music I’m about to record while looking at the meter and roughly trying to keep it to an average of -18dbfs. Is there a more precise or standard way to measure my recording signal? b) While recording guitar, I’m using a Focusrite Scarlett 2i2 and an Fender Jazzmaster. To keep it within the -18dbfs range, the gain knob on my audio interface’s input is turned down all the way to 0. So, I’m wondering, is this normal? What if I was using a guitar with active humbuckers? Wouldn’t that provide a stronger signal, thus requiring an ever lower input setting (which would be impossible since I’m already at 0)? Sorry if this is all trivial, as I said, I’m only just beginning. For the first question I’ve always used the peak meters but ignore the “floating peak” indicator and look at where the moving part of the meter is mostly sitting. It’s not an exact science but it doesn’t need to be. The aim is to be able to quickly establish a recording level where there is enough headroom to stop you worrying about peaks and clipping (except for extremely percussive sources) and where an over-hot signal forces you to mix with the fader level down around -40 dB. For the second question I’m not familiar with your set-up but it is possible that the guitar has a strong output and maybe the interface has a guitar input. Active pickups have not been an issue in my experience but you don’t need to use a low impedance input for an active instrument. Maybe you are picking too high a point in the peak meter’s movements to set your level. I would play a sustained chord on the guitar and place it so that -18 dBFS is around 3/4 of the mentally averaged meter reading after the peak of the strum has passed (again, ignore the floating peak indicator). Thanks for that advice. I’ve tried to get an accurate reading of my input signal using all sorts of meters. Just using the floating level of the peak meter gets you in the ball park. I think it’s easy to overthink some of this stuff. level about -13. He says sometimes gets as high as -18, but never over that. You have to leave room for mastering, as the mastering process will bring your level up to par anyway. Like I always say, garbage in = garbage out. Get your level and tone as good as possible before you hit ‘record’. I want bottom end in my vocals clear mids and crisp highs.Also tell me is NT1 (2014) is better than NT1 or not because i have seen many homestudio users and even professional studio users getting killer recording with the NT1-A But NT1 (2014) being new doesn’t have much videos on youtube to compare.So please reply soon.Thanks In Advance. I put the velocity meter up to 100% when I trigger the sample on my DAW, just so I can get a more “dynamic and realistic” sound on my drums. But, with the velocity meter up to 100%, everytime I press down “hard” the midi controller, it stars clipping. Will this same advice applies in this situation? Sorry for the poor english. Yeah – you’ll want to turn down the final output of your virtual instrument so that what “Hits your DAWs track” will be a conservative volume. Thanks for the tip, however I am struggling to implement it! I’m using a Steinberg UR22 audio interface, Pro Tools 10 and Amplitube as a plugin in Pro tools, and I seem to be recording about 80-90% up the meter. The problem is, no matter what volume or gain knobs I mess around with, this does not change. The input gain on my interface is roughly 1, gain on the preamp in Amplitube anywhere from 2-5 and I still have the same issue, even if the volume I am hearing in my headphones is fairly low. Amplitube has its own input and output levels and when I record lead stuff they are really low (less than 10%), but the track in Pro Tools is still 89-90%. Is there anything else that can impact this that I have missed entirely? The gain knob on your interface would control the actual signal hitting pro tools. This is important to keep conservative. Then the amplitube plugin will control how hot the “amped” signal is that you actually hear. This will affect what you see in the meter. This output would be what you would use to keep the affected signal conservative if hitting any other plugins. Thanks for the reply! I spent some more time messing around and it seems like I am now able to stay around 50% (peaking at roughly 70% or so). I had not considered that I could raise the volume of the track to still be able to hear what I play without recording so hot. Hi I’m new to this, I use the sE UR22 audio interface too. Including cubase 7 element. What I do is when i create a new track for vocals in the program I put the dbfs at -6 as I heard its good for vocals especially hip hop vocals due to research I’ve made, but on the audio interface I turn the MIX knob on DAW instead of INPUT, and the INPUT 1/GAIN knob of the mic I put it about 1 or 2 o’clock with peaking about 40% that’s the highest I can get it without so much clipping. So I just wanted to know if it’s correct or is it okay to set it that way because the tracks sound about right I normally just turn up the vocal of the track to hear as it sounds a bit soft. But yeah I wanted to know if what I’m doing is okay? The fader in Cubase does not control the input gain. It’s important that you actually turn down the preamp on your audio interface if your signal is too hot. In the recording phase that is. This has been very helpful advice! Another question: say I’m using reference music to compare my recordings to, just to make sure I’m following a similar sonic template. Since I’m recording quieter, do I just turn the reference music down to similar levels to compare to my mix or is there not really a good way to use the comparison until the mastering process since mine is pre-mastered and supposed to be quieter and less compressed? Fortunately I’m comparing to an older pre-loudness wars recording that’s mastered quieter than most other recordings and has a good dynamic range (makes it so much easier to listen to, by the way! ), so it’s closer to the levels I’d mix at than most modern recordings, but was just wondering how you guys to do it, if you do. Hello guys , i need a help . I recently purchased a Focusrite scarlet 2×2 interface , when i connect it to my YAMAHA PSR E323 i get a clipping red light near the port , ive turned down the knob fully anticlockwise , a green light appears when it is in Line whereas it turns red when i switch it to inst. Should there be any drivers installed for the keyboard ? Will i get drivers for this keyboard because it a pretty old model . I get indications of the beats and instruments in my DAW when i press keys on my laptop but it doesnt happen if i play it on my music keyboard . The keyboard which i have got is a non usb keyboard , ive tried giving all sort of connections but its not working. Talented are those who make complicated stuff easy. Thanks Graham again for your simplicity and clarity. This is clearly a key issue for vocal tracks. thanks for this article. I have a question though, I am using an Alexis io2 interface and a bheringer c1 to record vocals in cubase element 7. my vocals however sound too thin and low and when I turn the gain on the pre amp up, I get lots of clipping. I think this particular article has helped improve my recordings more than any other. I just didn’t know where the sweet spot was. Things are sitting better in the mix and my tunes are more consistent. Unfortunately I can’t hear my input very well on my little USB interface when tracking. It is a simple matter of not enough level on the headphone amp. Many of the inexpensive interface is marketed toward bedroom producers suffer from this malady. This likely pushes a lot of home recordists to record too hot, just so they can hear themselves. I remedied this by adding an external headphone amp between the interface and my phones. When I record into my Logic 9 software I push some of the track faders to where they are just clipping in to the yellow, (depends on where I want them in the mix) but I don’t have the loudest instrument beyond that yellow area. Does that sound right to you? and also what setting should I have my ‘Stereo Out’ and ‘Master’ faders on. Thanks in advance for your helpful answer. I record with the gain very low but i still get distortion when the artists belt into the mic. how can i stop that? Sounds like you might want to try a dynamic mic. Something that can handle the louder sound pressure. Or buy an inline Pad to gain down the microphone signal even more. First of all I want to thank Graham for all his usefull posts I follow him everyday, and step by step I feel more consciousness. I’m newbie into music production so I’d like to post a problem that might concern this topic. I’ve got a Scarlet 2i2 connected to my Pc with Cubase5 installed on. Even if I do not plug ANYTHING into the two imputs of the scarlet, and I record a track on Cubase, I hear a constant “hiss” in backgorund. This hiss becomes louder as I turn up the gain knob. I recorded the track at LOW GAIN, and then I raised the volume up of the track itself and the hiss remains. This makes me think that the hiss is constant even at low gain and it pushes me to record the track LOUDER in order to cover the hiss. How is this possible even if no instrument is pluged in, and the track has been recorded at low gain? And how can I avoid this issue? Sounds like something wrong with the unit. Have you contacted Focusrite?